Bumford Heating are Gas Safe registered heating engineers who undertake installations of gas boilers, oil boilers and LPG boilers. 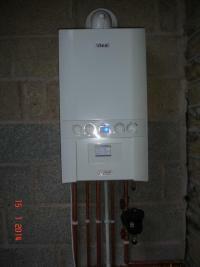 For similar replacement boiler companies in this area please visit the Barnsley boiler page. Bumford Heating Limited are a Yorkshire based national plumbing and heating contractor. Based in Barnsley we have supplied and installed thousands of quality domestic and contract heating systems since being established in Sheffield in 1968. Bumford Heating are an independent family run business with a proud history and an exciting future.